We often receive the question given as the title of this article. While it is too general, and one might say: "Well, it depends on what you need to do with your collection", - there is an idea behind it. In most cases, the user wants to organize his or her collection but does not know where to start. However, most needs are pretty typical, so let's take a look at them. Converting music files is something you need to do from time to time, if you use several devices to listen to your music. Additionally, you may want to rip your Audio CDs and store them as files on your computer or on your home network. This will allow you to access your music albums from any device, including popular media players, and to copy music to portable devices like mobile phones, MP3 players, etc. AudioConverter Studio supports the most popular audio formats and can rip Audio CDs. Additionally, Free M4a to MP3 Converter can handle MP4, AAC, M4A files, which one usually finds in Apple devices. Even if you have just a few albums stored as audio files, having the files properly tagged and sorted may look like a nice idea. If there are several hundreds or thousands of songs, proper filenames, directory structures and tags turn into something essential. 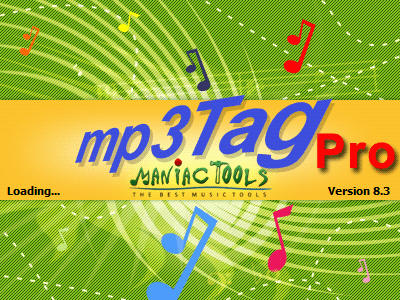 mp3Tag Pro will prove to be quite helpful here. It can rename and sort audio files, extract information from filenames and save it into tags, download missing tags, download lyrics and album art, create playlists, and more. Duplicates are copies of the same songs / music pieces. In most cases they have no special value and simply occupy disk space. With Music Duplicate Remover you can clean up your music collection. The program is capable of comparing audio information, so it can find duplicates with different (even wrong) tags and filenames. It also finds copies in different audio formats. Want to create a ring tone from your favorite song? Just extract the best part with Visual MP3 Splitter & Joiner and copy the file to your mobile phone. While you can use playlists or browse nicely sorted (with mp3Tag Pro) folders to access your audio files, it is also possible to get much better overview by creating an illustrated catalog of all your music albums. Such a catalog would include album covers, track lists, album reviews, information about artists (biography, discography, photos, etc.). Musicnizer is a powerful music organizer that can scan your files and create a music catalog. Songs can be played directly from the catalog. Tags: AudioConverter Studio, mp3Tag Pro, Free M4a to MP3 Converter, Visual MP3 Splitter & Joiner, Music Duplicate Remover.